This work presents a frozen lake where anonymous figures walk and glide across the ice. With the camera facing the sun, the work allows the flare from the sunlight to advance in the frame, becoming a visual presence in itself. The figures are at once integrated and removed from the surrounding landscape. 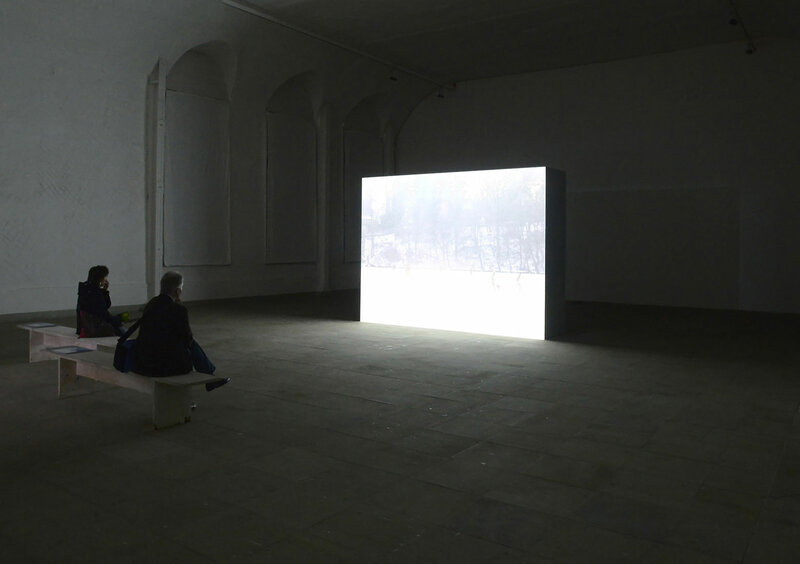 Installed at KunstFestSpiele Herrenhausen, Hannover.